Metal roofing has more than its share of myths circulating because of its many assumptions and misconceptions. In this post, you’ll learn the truth about the common misconceptions involving metal roofs. This myth is most likely caused by the fact that metal is a conductor of electricity. However, metal roofs do not necessarily attract lightning and are not struck any more than other roofing materials. Lightning can strike your home because of its height and size rather than your metal roof. If your metal roof gets struck by lightning, the electricity will spread out across a larger area; this diminishes the immediate impact. Then, the roof’s fire-resistant properties will protect your home from fire. The truth about metal roofs is that they are no noisier in the rain than a traditional asphalt roof. 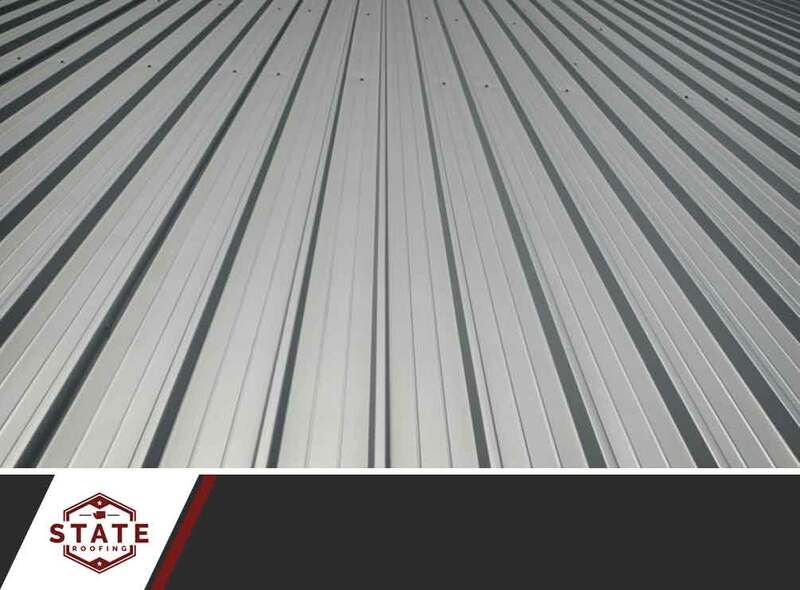 This is because metal roofing installation is usually done over an existing roofing surface. A strong sheathing sits between the metal roof and the roofing surface. This reduces noise from rain, hail, windblown debris and other extreme weather conditions. Most metal roof systems have passed UL 2218 Impact Resistance testing at the Class IV level. That is the most severe level. What’s great is that metal roofing does not lose its impact resistance as it ages. It will resist hail the same way 50 or more years down the road if it is installed properly. Some metal roofs come with textured finishes. In a very strong storm, small indentations will only blend in with the original texture. Also, they can often be repaired if a severe storm does cause damage. At that point, of course, other roofs in the area may need complete replacement. Count on State Roofing for quality residential roof installation services. We’re sure to give you the most bang for your buck. We serve Seattle, WA, and other nearby areas. Don’t hesitate to call us at (360) 205-3100 for all things roofing.